Dahlstrom and Baughman conducted research on achievement and ability in African American and White students in what were then segregated schools in the South. With an emphasis on individual differences and respect for all persons, they devoted significant energy to trying to understand the role of ethnicity in individual functioning and personality assessment. Dahlstrom’s 1986 book on using the MMPI with ethnic minority individuals, MMPI Patterns of American Minorities, was a major contribution to understanding appropriate and inappropriate applications of the MMPI with minority clients. Dahlstrom’s professional work focused on the assessment of personality, and he was acknowledged as the world’s leading authority on the Minnesota Multiphasic Personality Inventory (MMPI). 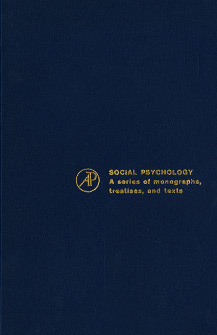 With his emphasis on individual differences and respect for all persons, Dahlstrom devoted significant energy to trying to understand the role of ethnicity in individual functioning and personality assessment. William Grant Dahlstrom attended the University of Minnesota, where he received a bachelor’s degree in 1944 and a doctoral degree in clinical psychology in 1949. After teaching at the University of Minnesota, Ohio Wesleyan University, and the University of Iowa, Dahlstrom joined the faculty at the University of North Carolina at Chapel Hill in 1953, initially in the Psychiatry Department. In 1957, he moved to the Psychology Department, where he remained active until his retirement in 1993. During his 40 years in academia in Chapel Hill, he served a five-year term as chairman of the Psychology Department and directed more than 60 doctoral dissertations. In 1987, he was named Kenan Professor of Psychology at UNC, a distinguished professorship as well as a significant honor.